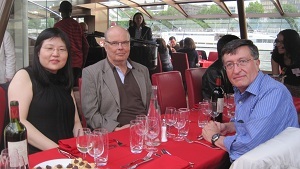 With Michael Otte and Oh Nam Kwon on June 1st, 2012, during the Michèle Artigue Colloquium Official Ceremony-Dinner. The ceremony took place on a cruise on the Seine River. 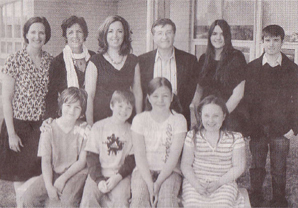 In November 2011, I had the wonderful opportunity to give a conference at the 25th Convegno Nazionale “Incontri con la Matematica” organized by Bruno d’Amore, Martha Isabel Fandiño and Silvia Sbaragli in Castel San Peitro, near Bologna. Rodrigues, K. (2010). Notes on a course at Programa de Pós-graduaçao em Educação Matemãtica. Jornal de UNIBAN Brasil, Ano 13, 10 de maio de 2010.